A stunning hexagonal circular domed glass lantern and trellis work designed by Architect Bruce Cavell. 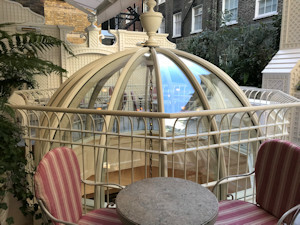 Winchcombe were commissioned to manufacture and install this technically challenging lantern including all the double glazed glass. The outside smoking area was also adorned with elaborate wall panelling and trellis work. This we were also commissioned to manufacture. 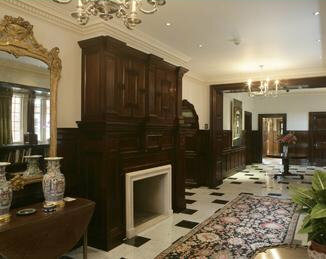 Top quality cabinet work in London's Mayfair. 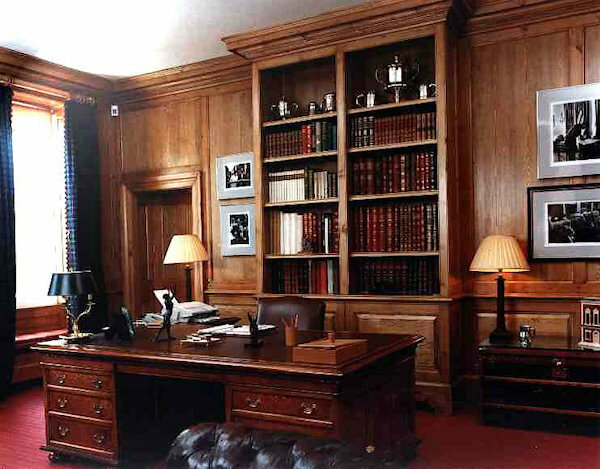 The client requested his study to be in pine, hand tinted with wax polish finish. Note the size of panels. Quite a feat in pine. The fit out included the doors linings and panelled window reveals. Walnut panelling to new extension matching existing in detail, project design architects Ian Adam Smith. 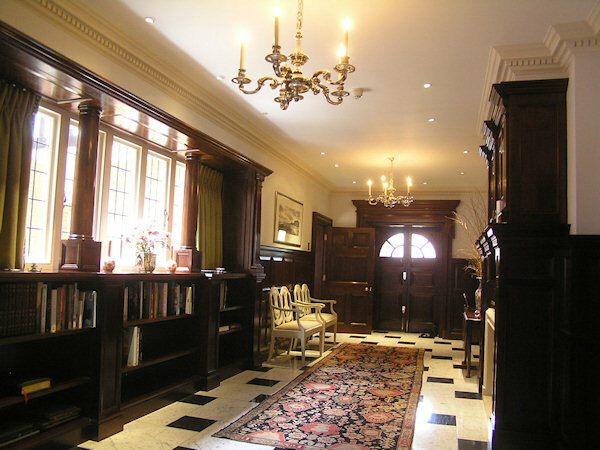 Incorporating curved panelled arches, jib doors, fireplace and bookcase. The front entrance door is a pair of 6 panel doors in walnut and 8 panel doors to entrance out side in oak.